So Mr. Tobin and all your fellow-travellers, such as Adam Levick who wrote something similar and Abraham Miller who claimed Clinton “preached to the wrong crowd”, what can the Palestinians do to “make peace?” How can they “make peace”? If they all wave Israeli flags all day and worship Israel and chant “I love Israel” from 9am to 5pm, would they get a state? I want to know, really, how it’s not “up to Israel”…how Israel is actually the big massive victim. It’s like how they whined that the Vietnamese just wouldn’t come to the peace table…”what are we some helpless giant,” Nixon wondered. Israel holds all the cards, save one or two and then pretends its playing an equal poker game. It’s amazing how the supporters of such a powerful country have convinced themselves that really…that country is the victim and can’t accomplish anything, can’t take hold of its destiny. Not…it’s those Palestinians…they must decide Israel’s future. Genius. Yes, Israel’s future is up to Israel and those who pretend that it isn’t use a fundamental slight of hand. They posit that if only the Palestinians do X, then there will be peace. But that flies in the face of Israel’s own policies. What steps does Israel take towards the two-state solution it ostensible supports? What evidence is there that Palestinian actions chance Israeli policy? If Palestinians waved Israeli flags all day and chanted “I love Israel,” it wouldn’t make Israel support a two-state solution? If Palestinians did all those things that Israel supposedly wants from them, like end incitement and recognize Israel’s “right to exist”, what evidence is there that Israel would support a Palestinian state? There is no evidence that Palestinian decisions affect Israeli policy. More violence or less violence, more incitement or less incitement. When there is peace in the West Bank, there is no sudden Israeli withdrawal, suddenly Israel is not working towards allowing Palestinians more rights and freedoms. There is a tendency to abjure Israel’s responsibility for the lack of peace and pretend that the problem is a lack of a Palestinian peace partner. The narrative claims that Israel has offered peace numerous times and the Palestinians have rejected it. Therefore it is not Israel that should be pressured, but rather the Palestinians, and if the Palestinians will not “make peace” then Israel’s responsibility is at an end. It’s an extraordinarily short-sighted argument to suggest that Israel abjure responsibility for its own destiny and rely entirely on the whims and gestures of the Palestinian Authority or Hamas for its future. This view posits that Israel and the Palestinians are somehow equal players in this contest. Yet the opposite is true. 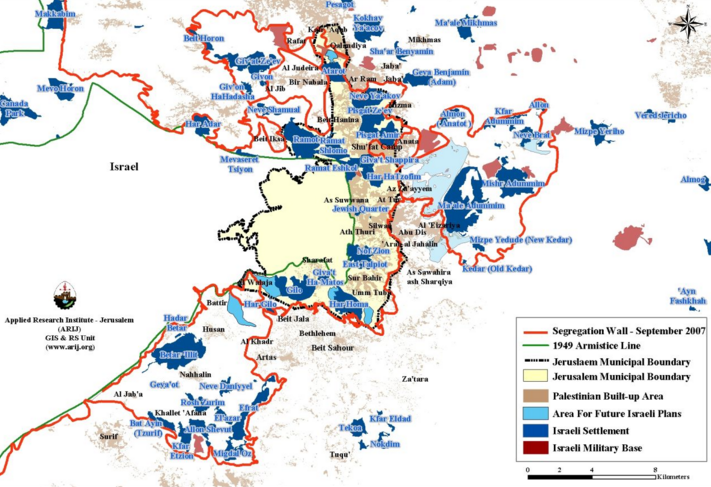 Israel controls the land, sea and air borders of the West Bank. It controls the Palestinians’ ability to drive from one portion of the Palestinian Authority to another. It controls the trade and the water resources and electricity. Israel is the country with the great standing army, with tanks and the most sophisticated military equipment. It has the power and should use it’s power, to make the decisions best suited for its future, rather than decide some stone throwers or angry TV hosts in Ramallah will decide Israel’s fate. Map of Jerusalem area checkpoints, who makes the “choices”? One is reminded of Richard Nixon’s April 1970 address about the situation in Vietnam. “When the chips are down, the world’s most powerful nation, the United States of America, acts like a pitiful, helpless giant.” In his speech Nixon said America would not be helpless, but would take the lead to end the war and bring its soldiers home and bring peace. He understood correctly that America’s destiny as a great power was to forge it’s own future, not allow “totalitarianism” and “anarchy” to decide for it what its policy would be. Similarly Israel must make the correct choices for Israel. The lack of a “partner” among Palestinians, the fact that Mahmoud Abbas is not the perfect leader Israelis would choose for the Palestinians, the existence of incitement or recalcitrant behavior, cannot mean that Israel should behave like the helpless giant, like Gulliver with the Lilliputians. The narrative claims that so long as Palestinians require Jerusalem as their capital or a ‘right of return’ for refugees, there can be no peace. That creates a self-fulfilling prophecy, the Palestinians won’t change their position, so Israel will have its future dictated to it. Bill Clinton was right, Israel’s future is entirely up to Israel. Those who support Israel and argue the country must abjure any responsibility for its future based on what some Palestinians do are basically arguing that the Israeli future is in the hands of Ramallah. Since its inception the Zionist movement sought revolutionary solutions to its predicament, it didn’t rely on the Ottomans or British or others for a stamp of approval, but forged ahead, making pragmatic choices along the way. For 50 years it has embarked on an experiment in the West Bank and for 20 years embarked on a policy of a one and a half state solution, living side by side with a semi-autonomous Palestinian entity. That has worked relatively well for Israel, as its GDP has grown and its infrastructure has expanded. Israel’s supporters would do well to encourage the country to take its future into its own hands and decide what it wants the West Bank to look like in twenty or thirty years, rather than encourage the country to throw up its hands and say “it’s the Palestinians fault.” The Palestinian position is well know. 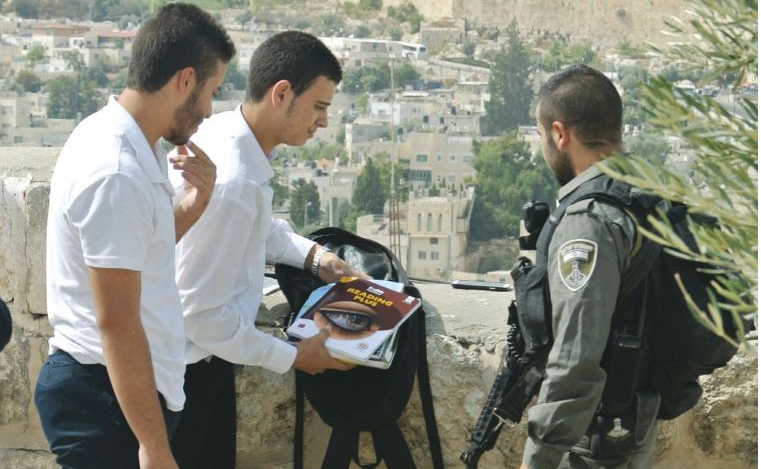 The incitement against Israel, the abhorrence for Israel’s policies, are not going to change. The creeping desire for a “one state solution” will continue. Palestinians say “existence is resistance” and argue that over the long term their mere existence will defeat Israel demographically. Israel’s response is that it wants the Palestinians to recognize its “right to exist”, which means it’s existence is predicated entirely on the whims of the Palestinian electorate. Today millions of Palestinians say “right to exist”, several years from now they say “no right to exist.” Strong, successful nations, take responsibility for their future, rather than letting it be dictated to them by their adversaries.